For years we've suspected that local government folks love karaoke. In conference after conference we had noticed a trend in folks peeling off to late-night bars to let loose with some of their favorite ballads. And really, what’s better than belting out some Journey after a long day of conferencing? The answer is nothing. 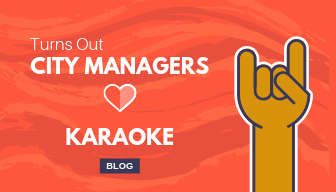 We decided to test our hunch on whether or not city managers (and their spouses and colleagues) love to let loose and karaoke. 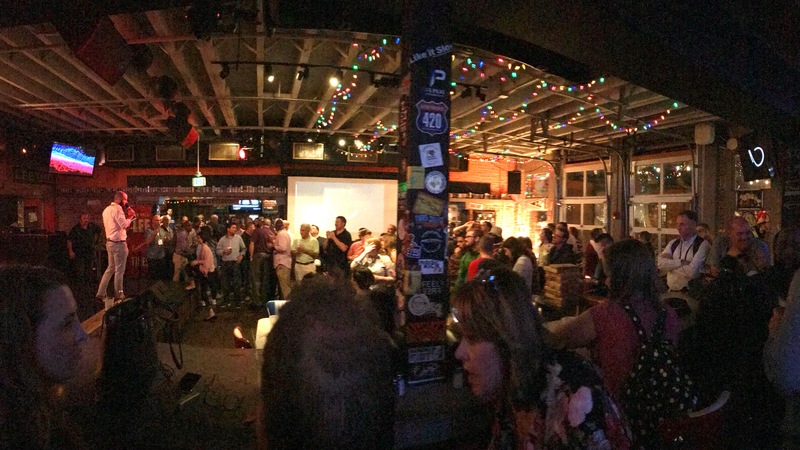 That hunch was validated last Monday night with a packed house at our ICMA Karaoke Happy Hour in Baltimore, MD. 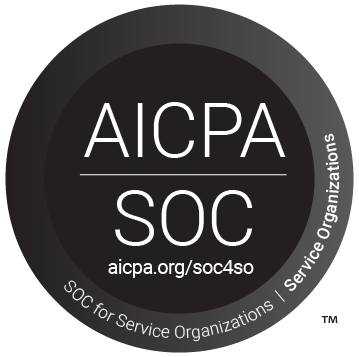 We asked our friends at SeeClickFix and ViewPoint Cloud to join us in our test. Really, this was a test in itself. Can three individual companies helping to bring modern tech solutions to local government leaders come together in a unified vision? We can definitively say that the answer to that is “yes”. A killer venue and some slick invites rounded out our prep—all there was left to do was sit back and have fun. Scores of attendees braved the rain and joined us for hours of ballads. Awards were given away. The Cupid Shuffle was danced. The bar even offered to stay open late to keep the party going. Notable songs of the evening included a group from New Hampshire belting out Night Ranger's "Sister Christian" (video below) and a packed stage chanting the 90's favorite from Spice Girls, "Spice Up Your Life". A big shout out to our 1st place winners Ashley Wooten from Kansas City, MO for her sensational rendition of Anita Baker's "Sweet Love" and Christian Williams from Goodyear, AZ for his show-stopping performance of "A Thing Called Love" by The Darkness. A big thank you to all of you who joined us in celebrating local governments and in helping to build strong communities. For those of you who couldn't make it this year make sure to keep an eye out for an invite next year for a repeat at the Tin Roof Nashville! We got a few pictures and videos from the night. You can view and download them here. If you have any issues, reach out to conferences @nextrequest.com. And finally, if your agency is in need of a more efficient way to records request management, get in touch—we’d love to chat. Whether you call it FOIA, Access to Public Records, OPRA, FOI, or any number of other names, the process of releasing documents from governments to the public can be frustrating and time consuming. NextRequest is a platform that's rethinking that. Join our newsletter to stay in touch.